For those that love art and design, there are plenty of places to discover in Los Angeles. Visit the Broad Museum or take a trip down memory lane Broadway where you can step back in time to the golden age of Hollywood. During the early 1900s, Hollywood was booming, and there seemed to be another grand theater opening up along Broadway every other day. However, in 1913, theatrical producer Oliver Morosco wanted to do something different, and so the Globe theatre was born. Inside the Globe Theatre is indeed a sight to behold. Visit today and see for yourself! During the 1900s, the theaters that were being built were built as venues for vaudeville acts. However, the Globe Theatre, which was back then known as the Morosco theatre, was built for full-scale theatrical productions. The building was designed in the Beaux Art style, and the theatre is an impressive eleven stories tall. Outside, it’s decorated with a facade of terracotta ornamentation and glazed brick. 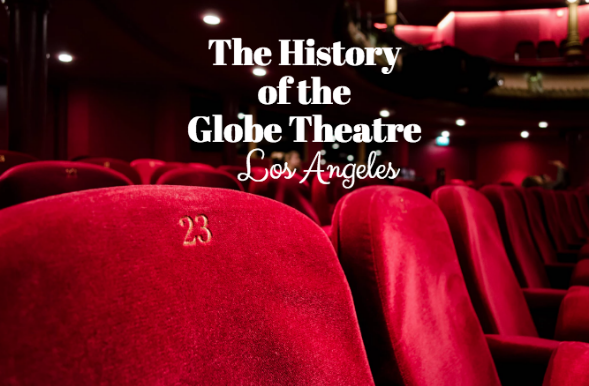 The theatre’s name was changed to ‘The Globe’ during the 1940s when it began showing newsreels to the general public. Inside the theater, you’ll be overcome by the elegance and romance that the theatre exudes. Inside you’ll still see the original marble staircase as well as the plaster decorations of garland, cherubs, and theatrical masks. Later on, the theater showed Spanish-language films up until the 1980s when the theatre was closed. The lobby was sometimes used as a retail space in the following years, and the auditorium was used as a nightclub. Today, thanks to recent renovations, the theatre is once again opened. Today the theatre is used as a live entertainment venue as well as a nightclub. Be sure to catch a show or head to the theatre to dance so you can see the inside of this incredible, and historical theatre.